Add a referral program to your website. Emphasize offer structure: Including offer structure in your call-to-action is the biggest motivator to get a user to share a brand or product. Make it stand out from other offers on your site. Keep the messaging simple: The main goal of a promotion is enticing customers to click. Keep the fine print for after your customer has participated. Keep the Clutter keeps customers from sharing. Make it POP: Bright colors, lifestyle images, bold font - a customer should be able to see the your program when scanning the page. 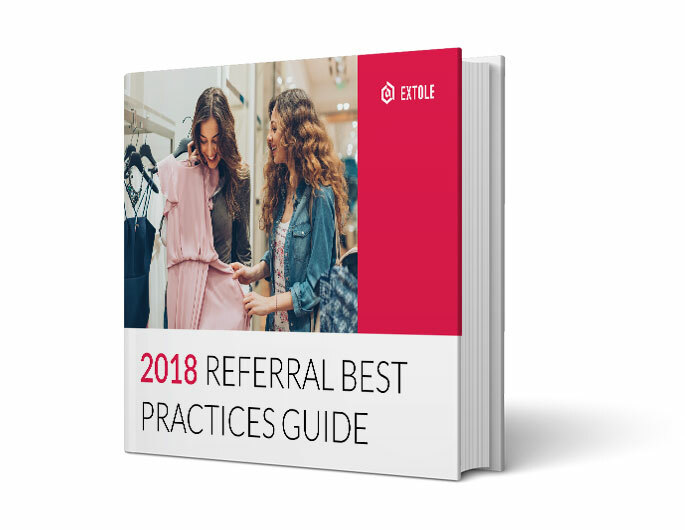 For more tips on how to optimize your website’s referral program, check out our 2016 Referral Marketing Best Practices Guide.